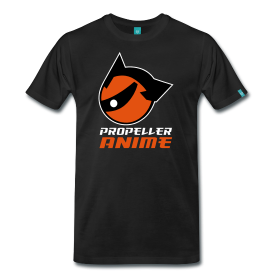 Propeller Anime: Recap of today's meeting, 2/20/11 edition! IT'S PAC BAYBEE! GET YOUR SCOOPS! I think a certain fighting game that stars superheroes and Mike Haggar somehow prevented people from coming to the meeting. That and people having to make movies. Unfortunately, we were not able to show 5 Centimeters Per Second today due to an audio problem and instead showed an additional two episodes of Black Lagoon: The Second Barrage, perhaps one of the most popular anime series we have ever shown in club. Anyways, here is the news you need to know! Summer Wars came out this past week. If you like good anime movies, check it out! Mamoru Hosoda(The Girl Who Leapt Through Time) directed it along with studio Madhouse! On March 3rd at 8PM, we'll be doing an event called Anime Nite @ The Geek Easy. It will be at A Comic Shop! Please come out for some fun! The next club meeting has been moved to Saturday, March 5th as to not compete with Pokemon Black & White's release. We'll be getting together for bowling at the Aloma Bowl on Sunday, March 13th! Details to come. 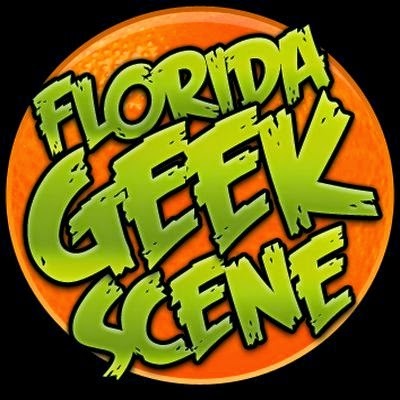 We hyped the hell out our MegaCon events this past week. Make plans to go! In Cromartie High School, we learned that the best way to handle trolls is to deck them in broad daylight in a crowded area. There will totally be no consequences to that. Also, Kamiyama won the Japan Boss Tournament for his knowledge of dairy products. We also learned survival in the wilderness from Freddie as he scaled mountains and crossed rivers to get to the nearest 24/7 ramen shop! Things have started to get real serious in Mobile Suit Gundam: The 8th M.S. Team. Shiro and Aina have reunited in in battle and had to team up with each other in order to survive the harsh climate. This results in Shiro confessing his love for Aina and then getting naked in a conveniently nearby hot spring with her. Good for him! Then he recieved a court martial because of his time with Aina and had to sneak away from confinement with his subordinates to rescue the guerrilla village Kiki lived at. They weren't actually under attack by Zeon, they were just there. However, one launched bazooka missile kills a Zeon soldier and all hell breaks loose! 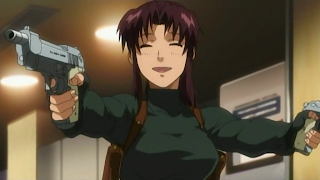 A new mission started in Black Lagoon: Second Barrage. Rock has been hired by Hotel Moscow to serve as a translator for a deal they are making with a yakuza family. Revy tags along as his bodyguard, ensuring that lots of people will be violently shot to death on what should be a simple mission. During their downtime, Rock meets a nice girl who turns out to be heir to a rival yakuza family Hotel Moscow plans to wipe out. When he finds out, he urges Revy to help him protect the girl. The girl's yakuza family has a swordsman who can cut straight bullets in half and him and Revy team up to wipe out many of the Hotel Moscow-aligned yakuza group at a bowling alley. It was so awesome. We'll watch 5 Centimeters Per Second at the end of the quarter and we'll finish the final two episodes of Black Lagoon: The Second Barrage at the next meeting and start FLCL! It will be action-packed!